When Nourish Boston first came together about a year ago, our ambitions were broad: nutrition education, increasing food access, supporting local farmers, encouraging health and fitness, and connecting members of the Boston community with their food, the earth, and each other. A year later, these goals remain unchanged, but building partnerships has emerged as the key strategy in turning any of these ideas into reality. There is an incredible sense of community in Boston, and there are many like-minded organizations that are working to promote and support health and wellness. Nourish Boston was not the first to imagine a city in which all residents feel a connection to the land and to the food that comes from it. Organizations cannot act in isolation, but rather we must work together in concert to achieve our goals. Engaging both the Boston area community and joining the collective movement of organizations working to make Boston healthy is crucial. 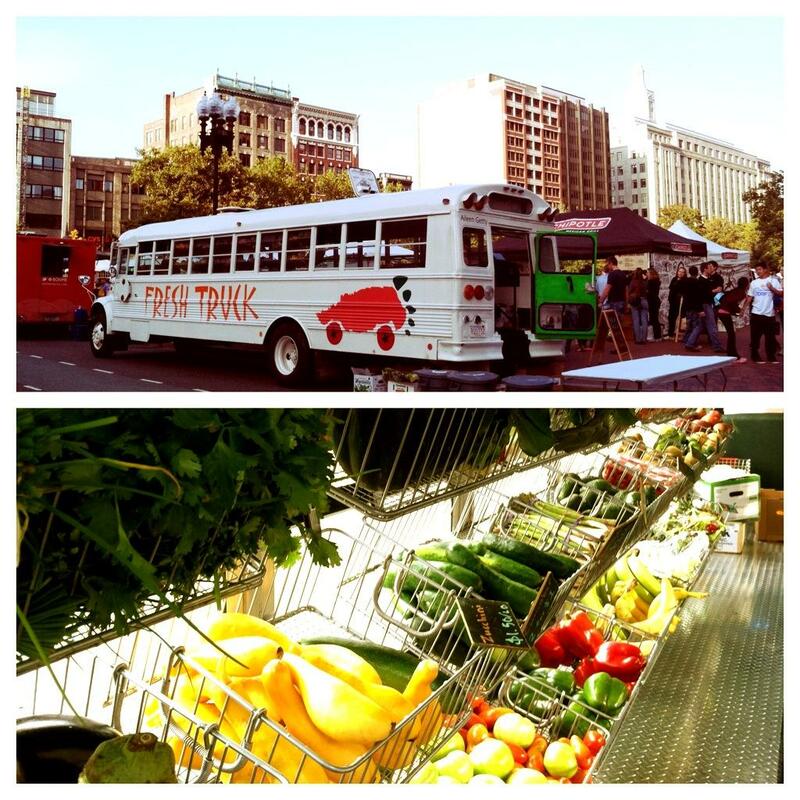 Nourish Boston has collaborated with the Fresh Truck to support their efforts to make healthy food accessible to all and to help individuals and families make more informed choices when food shopping. 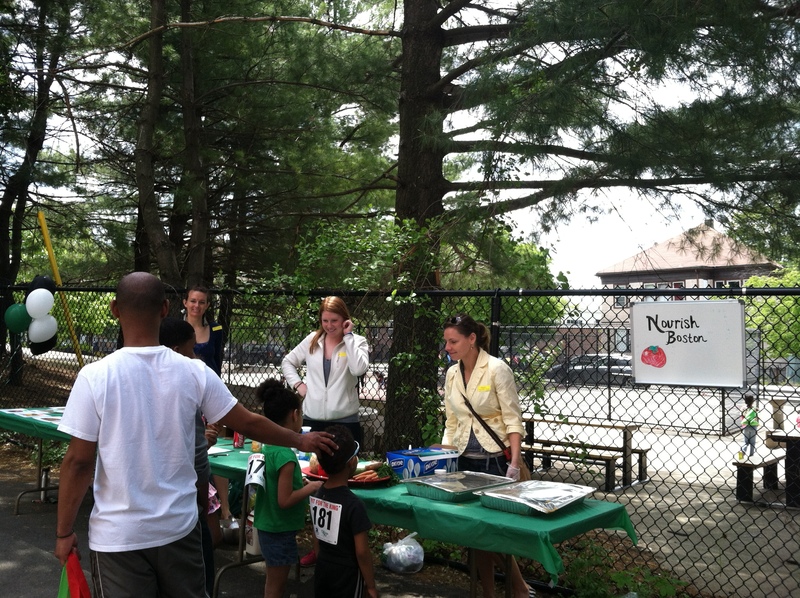 This past spring, Nourish Boston members joined the Fresh Truck team at Fit for a King, an Urban Field Day at Dorchester’s Martin Luther King Jr. K-8 school. Students and their families received healthy produce from the Fresh Truck, and learned about the sugar content of their favorite drinks, how to recognize a healthy meal or snack among unhealthy options, and tasted mashed sweet potatoes donated by the Haley House restaurant. Our volunteers have joined the Dorchester Community Food Cooperative, the Sustainability Guild International, and Earthseed Yoga in offering weekly community fitness and wellness classes to build their Bowdoin Geneva Hub into a resource for healthy activities. We have also worked with Taza Chocolate in a joint online education effort to encourage discussion around the importance of local, organic, and fair trade foods. 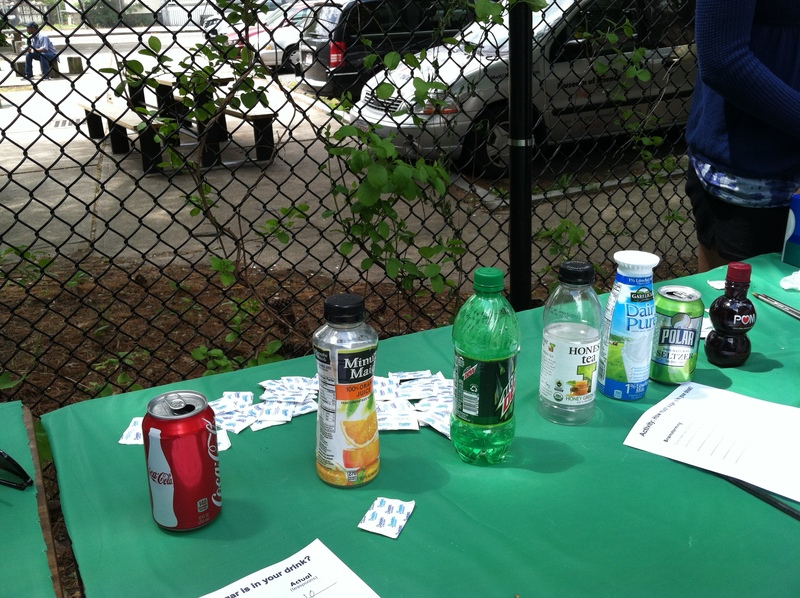 It is so important to work collaboratively when it comes to promoting healthy eating and healthy lifestyles. After all, great food is meant to be shared. Growing, sharing, preparing, and eating food with one another builds community. In partnering with great organizations across Boston, Nourish is able to complement existing efforts for healthy living— and there are many! We’re proud to be just one of many passionate organizations fighting to improve access to healthy foods and encouraging community members to engage with their health, their community, and their environment. What does a local food system look like? Somerville is the densest city in New England, topping the population scale at 77,104 in 4.2 sq. miles of space. 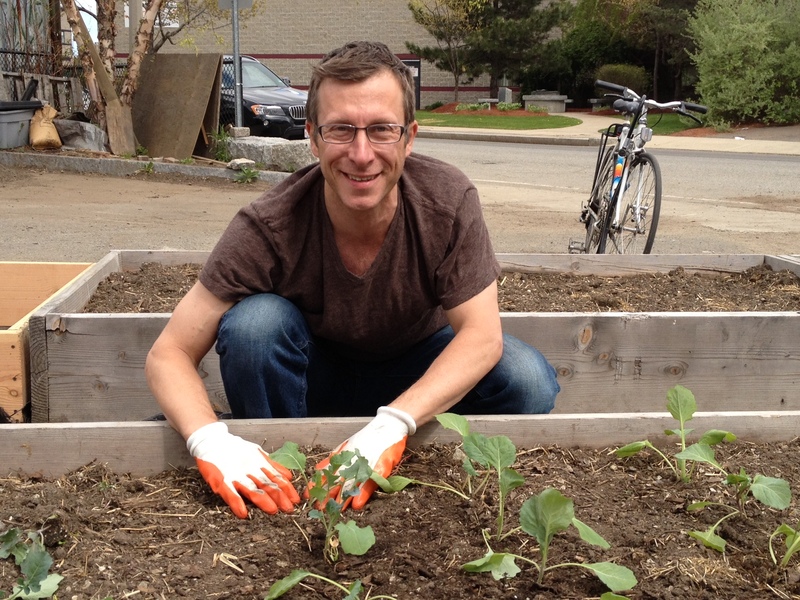 Somerville’s lack of open space and its rich industrial history (contaminated soil is a challenge that residents face when attempting to garden) allows for an endless amount of creativity that people are using to participate in the ‘grow your own’ movement. From porches to rooftops, raised beds to reclaimed lots, businesses, individuals, and youth are building crop knowledge and farming experience as a community. Although Somerville has a long way to go to create the kind of autonomy from the global food system that many cities around the world are striving for, there are features that should be celebrated for its innovation and forward thinking for a healthier, collaborative, and resilient community. If a resident of the housing development walked around the Mystic Housing complex or to the North Street Playground in Somerville on any Saturday from May-September between 10am and 5pm one would be astounded at the hustle and bustle of the mobile market. Individuals and families can find affordable fresh produce, music, face painting, bike fixing, and healthy recipes right outside their doors. 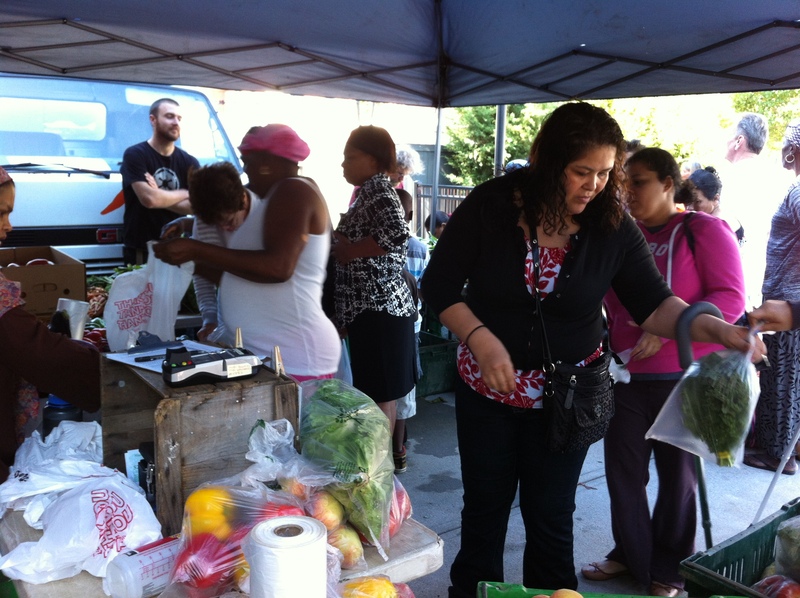 Three years since it’s inception, this subsidized market has become a staple dietary resource to these low-income neighborhoods. The market was co-founded by Shape Up Somerville and Groundwork Somerville as a way to increase access to affordable produce to under served communities. The businesses and organizations that congregate at this market included Enterprise Farms, the Boston Cyclists Union, the Mystic Garden Learning Center, and Groundwork Somerville. Enterprise Farms, an organic farm located in South Deerfield, Ma, made the trip to Somerville every week to support and supply these low-income markets with affordable produce. Their mission to grow a balanced variety of vegetables made available to everyone, regardless of income, is one to be revered. An important part of building a local food system is providing access to everyone. At the end of each day, left over produce was donated to local food pantries. The inclusion of these markets and the energy that customers bring to it is what makes the mobile market special. Groundwork Somerville’s Green Team and The Mystic Garden Learning Center share the desire to spread gardening knowledge to youth between the ages of 6 and 19. The Green Team is a youth leadership program that provides employment to local young people ages 14-19 years old. The program combines team building games (which the youth conduct themselves) with job readiness skills like resume building and public speaking in various settings like a schoolyard garden, a legislative meeting, or a reclaimed lot. During the summer these young people travel by bike throughout the city to tend to the garden beds in every elementary school in Somerville as well as to South Street Farm. They plan their plots, plant their seeds, water the seedlings, and harvest the produce for the Mobile Markets. The Mystic Garden Learning Center is another youth program that allows for garden exploration and inspires youth grown produce. 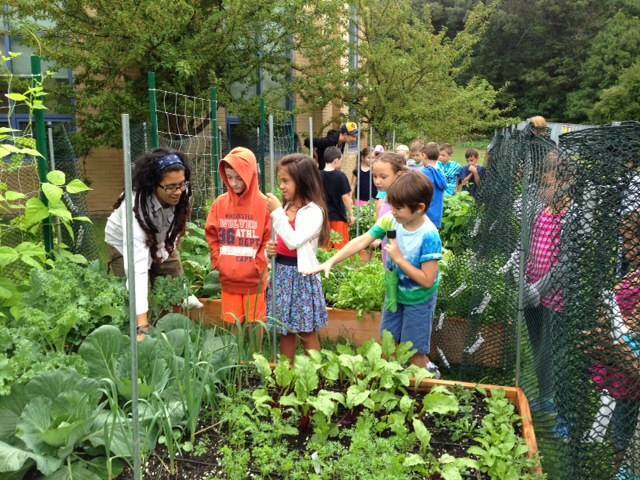 Kids ages 6-12 can participate in the Learning Center’s summer camp and observe worms and compost changes, plant vegetable seedlings, and harvest greens. 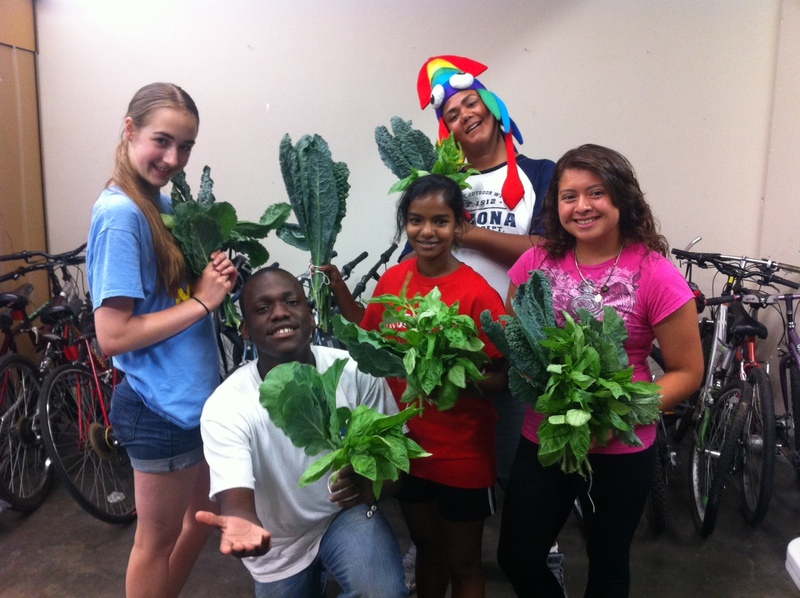 This summer, a grant was awarded to a few youth who applied to expand their garden space to increase their harvests. These youth showed up every week at the mobile market to peddle their free vegetables which always looked rich in color and flavor. The City of Somerville paired up with Green City Growers to create a hands-on intensive educational program designed to train 15 community members to garden in their backyards and in the community. Topics included how to assess a space for gardening, intensive gardening techniques, identifying plant varieties, cold frame construction, season extension, and an introduction to bee and chicken keeping. Graduates of the program then volunteered 30 hours of their time to existing garden related programs in Somerville. A few graduates spearheaded their own projects like building a community garden on a vacant lot and starting a seed saving library. This model of education and community integration creates structural support for people to get started growing their own food. Not only do programs like this encourage a sustainable mindset, but it also fosters a community unto itself. Graduates become resources for each other and for the city at large. Somerville still has a long way to go before achieving true independence from the global food system, but these examples are to be shared, encouraged, and celebrated for its push for a more sustainable community. 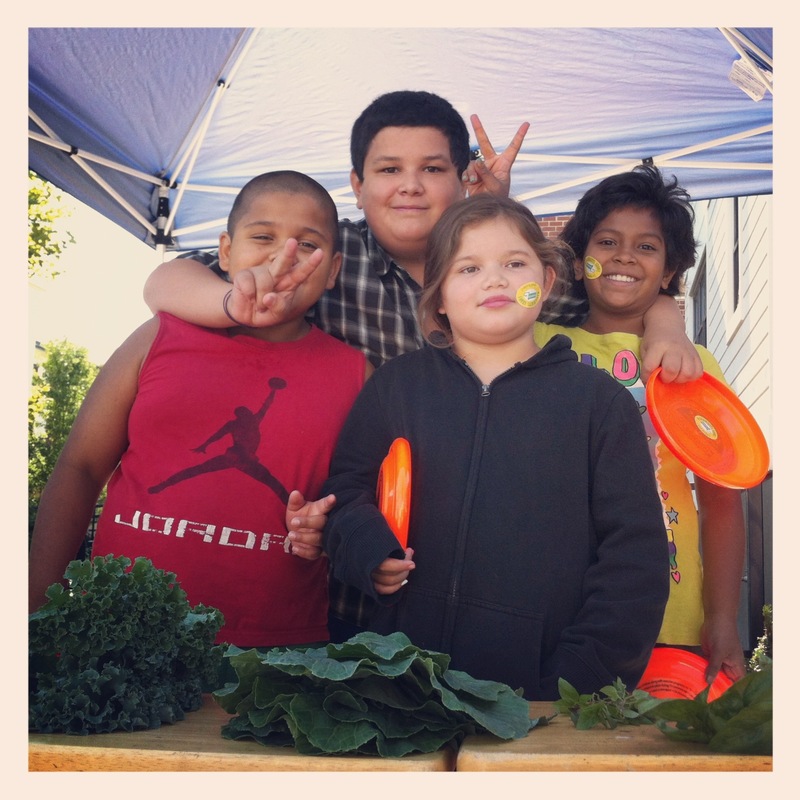 What are some ways that your community is moving towards a local food system? 1. Growing your own conserves energy and spares the environment. Today, the average distance food travels from the farm where it’s picked to your table where it’s eaten is 1,500 to 2,500 miles. Airplanes and refrigerated long-haul trucks require enormous amounts of fossil fuel, consuming resources and polluting the environment. In New England, why buy potatoes from Idaho and apples from Washington (or further!) when we can grow our own right here? 2. Growing your own looks and tastes better. In a blind taste test administered to local 3rd graders as part of the Green City Growers garden education program, the students preferred the locally grown organic fruit to the conventionally grown shipped fruit. Produce that travels long distances is picked before it’s reached full maturity because it continues to ripen during transit. Crops picked at their peak look and taste better. 3. Growing your own is better for you. Conventional soil has been stripped of natural carbon, nitrogen and microbial biomass, and laden with chemical fertilizers and pesticides. This soil produces fruit and vegetables low in antioxidant activity and essential vitamins and minerals. And the longer produce travels and sits in a warehouse, the more likely nutrients will be lost. More importantly, childhood obesity is epidemic. Teaching children to recognize vegetables and know where they come from engages them in healthy behaviors that will last a lifetime. 4. Growing your own preserves genetic diversity. 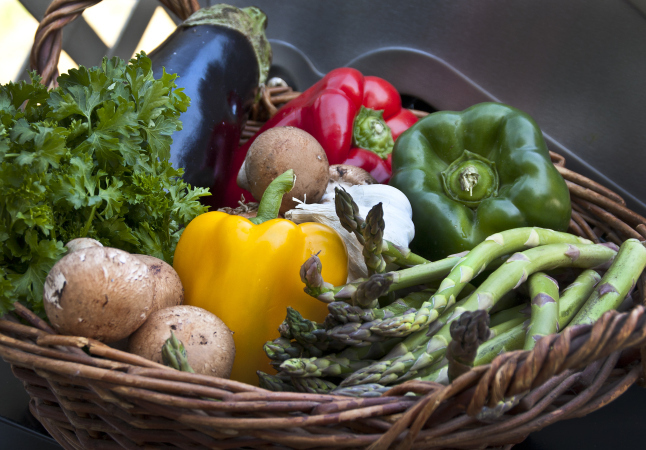 In modern agriculture, plant varieties are chosen for their high yield, heartiness, shelf life, and uniformity. You can grow a much more diverse garden, to produce a longer growing season, an array of colors, and the best flavors. In the 80’s it was the threat of the cold war and nuclear weapons. In the 90’s we started to see massive scale environmental disasters. In the 2000’s it’s the possibility of global economic collapse. Each threat is not replacing the last, but instead being added to the pile of mounting threats. Gone are the days of root cellars, jarred preserves, and canned or frozen vegetables from our own gardens. We are completely beholden to the trucks that roll in every day carrying our food to market. During an extended trucker’s strike in Paris, France in 1997, Parisiens cleared out the grocery stores within the first day. According to one account: within five days, normal, law-abiding citizens took to the streets and started threatening anyone who had food. Those with no food quickly crossed the line of sanity and started desperately looking to take food from those who had it by any means necessary. Civilization very quickly breaks down without access to food. What will be YOUR part in victory? Food Justice @ Food Day! I’m in that odd middle generation composed of people who are both fully adept at social media and fully convinced that the young’uns are going to forget how to spell properly in another decade; so I admit that when I first heard the word “tweetup,” I may have had to hold back an eye-roll. What was this new addition to the Twitter lexicon, and how exactly were you supposed to use it – as a noun? as a verb? I wasn’t entirely sure … but Bing Broderick at Haley House Bakery Cafe seemed very excited about the idea, so I gamely signed on to help plan Roxtweet #4: Food Justice @ Food Day. We’d both been inspired by a gathering in March of community food systems enthusiasts to talk about how we could make sure that food justice was highlighted in Food Day events around the Boston metro region. In their book, Food Justice, Robert Gottlieb and Anupama Joshi say that “[f]ood justice seeks to ensure that the benefits and risks of where, what, and how food is grown, produced, transported, distributed, accessed and eaten are shared fairly. Food justice represents a transformation of the current food system, including but not limited to eliminating disparities and inequities.” (http://www.foodjusticebook.org/?page_id=6) Many of the organizations gathered that spring evening – including The Food Project where I’ve worked since last fall – have been addressing disparities and inequities our food system for years. Other attendees were new to Boston but eager to connect to others working for social justice in their new home. That desire for connection was the idea behind our tweetup: we believed that if we kept bringing together food justice advocates under the banner of Food Day, we’d generate not only inspiring conversation, but also inspiring action this coming October. We hoped that the people and organizations we gathered again in July would connect with each other to create justice-focused Food Day events on and around October 24, 2012. We hoped for creative ideas that would challenge our assumptions about how the food system can and should work. Bing and I were thrilled to get everything we asked for, and more. Our attendees shared their inspirations for growing food, from connections to family and the soil to the opportunity for a political statement. They asked how we move from policy and advocacy awareness to true citizen engagement, creating new conversations about our food system that are accessible and inviting for everyone. We were challenged by the simplest statements: the most powerful tool against hunger may be helping people to get comfortable cooking with fresh, whole ingredients. And we were challenged to expand our thinking about Food Day itself, as some attendees asked us to build stronger connections with World Food Day, an international day of action to alleviate hunger and food insecurity. We’re incredibly thankful to our partner organizations that facilitated these lively and thoughtful discussions – Boston Area Gleaners, Boston Collaborative for Food and Fitness, Grassroots International, Project Bread, the Real Food Challenge, and ReVision Urban Farm. So what’s a tweetup? In my opinion, it’s a great way for social media to truly connect people – using the mass reach of a tool like Twitter to bring in new participants, but making sure that the end goal is the face-to-face contact that builds strong relationships. I’m reminded of something that Lilia Smelkova and Rose Arruda (our national and state Food Day organizers, respectively) said on that evening back in March: the goal of Food Day is not simply a series of events, but also a community working together for a more just and sustainable food system. I’m excited about the community building we did last month, and I look forward to connecting again with some wonderful new colleagues. Brandy H. M. Brooks is the Director of Community Programs at The Food Project.